On April 25th, 2018, The Benelux Chamber of Commerce Shanghai Office will host a HR expert seminar on the topic of Labour Law. In the seminar, Dezan Shira & Associates' manager on the Business Advisory Service team, Ms. Allan Xu, together with Ms. Choy Yiu Chan, a lawyer and local partner at Bonnard Lawson, will share how companies can terminate employment contracts based on performance and how to deal with contracts and HR when restructuring or relocating an international business. In the first half of the seminar, Ms. Choy Yiu Chan will show-case based on personal experience and case studies how companies can terminate an employment based on under-performance and how to set up a good HR approach. During her presentation you can expect to learn more on what an employer should be well aware of with regards to good HR management, including employee handbooks, performance reviews and a reliable HR department in order to avoid common pitfalls. In the second half of the seminar, Ms Allan Xu will discuss the HR issue in the process of business relocation and restructuring. Given the more complicated and competitive business environment in China, more and more FDIs are now considering to restructure or relocate their business to lower their increasing operation cost and improve their performance. In the process, dealing with the labor relationship of these employees can be the most challenging part, which if not handled properly, may cause great crisis to the business. 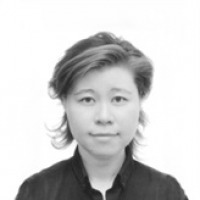 Ms. Allan Xu will analyze the pain points and pitfalls in the process from labor law aspects, which she has seen from the real cases she has dealt with, and deliver her opinions from a legal perspective and assist foreign investors to solve these problems and minimize potential legal risks. For registration, please contact Ms Cindy Zhang here.